Quick to make but with hidden gems! 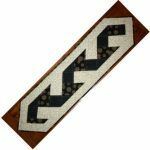 Each triangular end of the buffet runner is a pocket with a hot pad holder. The removable hot pad holders have a layer Insul-Bright® between two layers of Warm & Plush® batting to protect any surface. 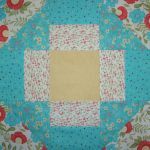 This scrappy table topper sews together quickly and can be made with any fabric combination you choose. It includes just an inkling of whimsy, sure to grace your table with fun! Celebrate every patriotic holiday with this beautiful red, white and blue table runner! 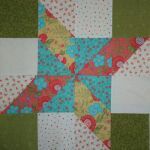 This quilt project is made easier because it employs the Sew N’Slash™ method to put your quilt blocks together. The tulips are in full bloom this spring and it’s time to bring some of those beautiful flowers inside with this precious table runner. Just imagine a vase of tulips centered on this table topper as it sits on your table. 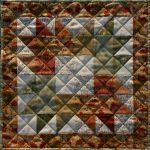 This scrappy quilted project is quick to put together and it will bring beautiful fall colors to your table top! 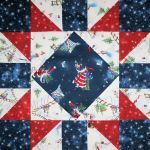 Making Dresden Fan’s are SEW much fun, you’ll want to make this for not just your dining table but also your end tables, coffee tables…everywhere your Christmas decorating heart desires! 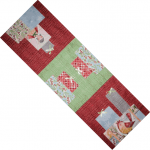 A little Christmas joy goes a long way with this whimsical Santa table runner. The snowflakes are gently falling while a whimsical Santa is busy with his gifts and Christmas trees. 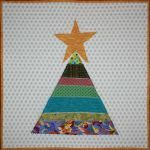 Such a FUN table topper to make! 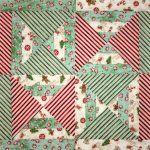 This precious table runner will bring fun presents to your table and joy in your holiday decorating. The first snowfall of the season brings laughter, love and little toddlers scrambling to catch the snowflakes on their tongues. But before all of that happens, it’s mesmerizing to just look out the window and see the snowfall dazzle you through a sparkly sunshine. Make your table beautiful with the gorgeous “Joy Batik” Christmas fabric! Make your table beautiful with the gorgeous “Subtle Skies” blues and greens fabrics. Scrappy and simple! 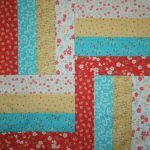 Two great combinations for quickly sewing this cute table runner. Make this funtabulous, quick and easy table runner for yourself or as a gift! This “Lovely” table topper trio #3 in the series was designed specifically for beginning quilters, and with each new table topper, the techniques will increase in skill levels. Anyone can make them, though! 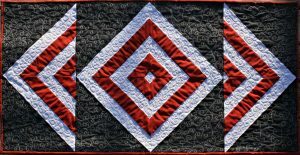 Original design by BOMquilts.com. This “Lovely” table topper trio #2 in the series was designed specifically for beginning quilters, and with each new table topper, the techniques will increase in skill levels. Anyone can make them, though! Original design by BOMquilts.com. This “Lovely” table topper trio was designed specifically for beginning quilters, and with each new table topper, the techniques will increase in skill levels. Anyone can make them, though! Original design by BOMquilts.com. 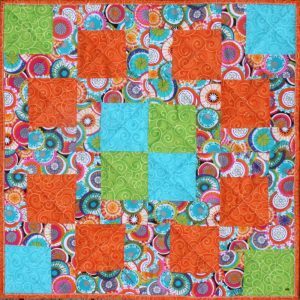 I never knew quilting could be so FUNTABULOUS! 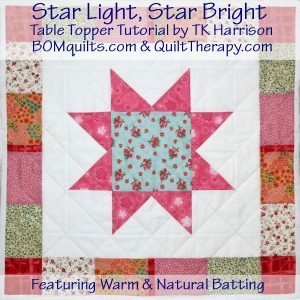 Join BOMquilts.com and QuiltBus.com for this fun and fabulous quick-quilted table runner! 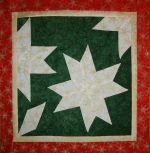 2006 Block of the Month Wall Hanging from BOMQuilts.com. The main focus fabric of this clucky wall hanging is from the “Poultry in Motion” line from South Sea Imports. 2006 BOM Table Topper Quilt from BOMQuilts.com. 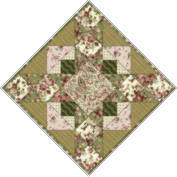 An original table topper quilt design offered in two blocks per two weeks. 2006 Mystery Table Topper Quilt from BOMQuilts.com. 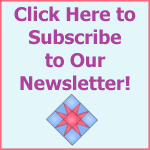 An original design of corner square triangles. Just in time for your Easter table!